The Yankees officially introduced Aaron Boone as their new manager earlier today — that still sounds weird as hell — and if you missed the press conference, you can watch it here. Now that Boone has been hired, the next step is building his coaching staff. Brian Cashman said today that process could take “a couple of weeks.” Here’s the latest. According to Joel Sherman, Boone’s contract will pay him $4M across the three guaranteed years before the club option for 2021 comes into play. Other rookie managers hired this offseason, like Mickey Callaway (Mets) and Dave Martinez (Nationals), all received between $2M and $3M on their three-year contracts. Boone received a little more because he was leaving a lucrative deal with ESPN. Joe Girardi earned $4M per year on the contract he just completed, so the Yankees are saving quite a bit of cash with their managerial choice. I’m sure the cynics out there will say that is Hal Steinbrenner’s reason for making the managerial change, but nah. That’s just the way it goes when you bring in new managers. The new guy almost always makes less than the old guy. Interestingly enough, both Cashman and Boone said today they’re not prioritizing experience with their bench coach. They’d like a bench coach with managerial experience, sure, but they want a good baseball mind and hard worker above all. “Experience is important, but it’s not the be all, end all. I want smart sitting next to me. I want confident sitting next to me,” said Boone today. 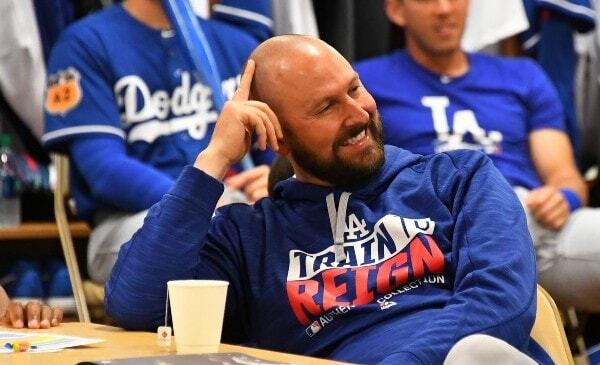 Boone is a complete rookie and he knows it — “As far as the in-game stuff, there’s obviously going to be some stuff that I’m green at,” he said today — so I figured they’d want a bench coach who has been there, done that. Someone who has seen pretty much everything the game can throw at a manager. Apparently not. We’ll see where this goes. 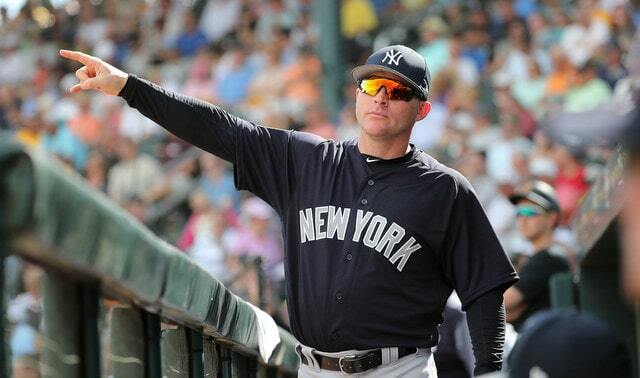 I’d be surprised if the Yankees hire a bench coach with zero prior managerial or bench coach experience. Beltran could join Boone’s coaching staff, or he could join the front office as a special advisor, similar to Hideki Matsui. He is very highly regarded within baseball, especially among Latin American players, and has an awful lot of knowledge to share. Beltran has been taking young players under his wing for years and it’s no surprise the Yankees want him around. I think it’ll happen. They’ll do whatever they have to to accommodate him. Reggie Willits and Carlos Mendoza are being considered for Boone’s coaching staff, reports George King. Willits, 36, played with the Angels from 2006-11, and has been the organization’s minor league outfield and baserunning coordinator for three years now. 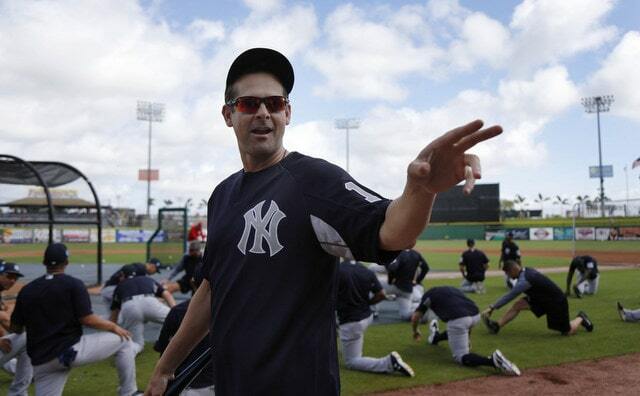 The 38-year-old Mendoza has been with the Yankees since 2009 and has held a variety of minor league coaching and managerial roles. He’s been the team’s minor league infield coordinator since 2012. Neither Willits nor Mendoza have big league coaching experience, though they are among their best instructors in the minors, and have been considered potential coaching candidates for a while now. Mendoza in particular has a lot of fans in the front office. He’s worked with all the organization’s top prospects in recent years, from Gleyber Torres to Miguel Andujar to Tyler Wade to Jorge Mateo. This would jibe with the talk about not necessarily wanting an experienced person on the coaching staff, but a smart person. As expected, Larry Rothschild will indeed return as pitching coach next season. The Yankees made the official announcement earlier this week. It’ll be his eighth year as pitching coach. In more surprising news, King reports “there are indications” Mike Harkey will return as bullpen coach. Huh. Didn’t see that coming. Harkey, 51, is in his second stint as bullpen coach (2008-13, 2016-17) after spending the 2014-15 seasons as the Diamondbacks pitching coach. He is a Girardi guy. Girardi hired Harkey because they’re very close friends dating back to their playing days. I’ve been assuming he’s as good as gone because of that, but I guess not. Tuns out Rothschild might not be the only coaching staff holdover.